Day trading has been a dream job for millions of people from around the world ever since electronic trading became accessible to the general public. This enthusiasm for day trading has only grown with people’s increasing desire to direct their own investing and the growing popularity of cryptocurrencies. Retail brokers have met this growing demand by making it ever easier and cheaper for average people to start trading for themselves, and there are now few barriers left to keep people from trying their hand at day trading. So what do you do when you want to take control of your finances and your life, but you don’t know where to start? Where do you go when you want to learn how to day trade, but you aren’t even sure if it is the right path for you? 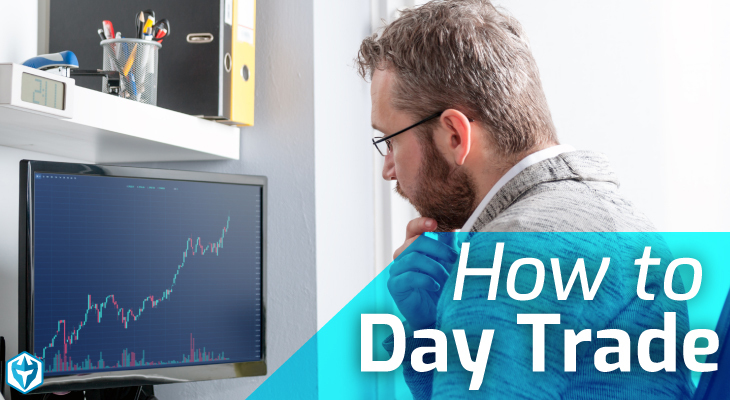 Here is a brief beginner’s guide to day trading, so you can figure out if a career in day trading is the right path for you, and then take your first few steps toward the wealth and freedom that you have always dreamed of. Day trading represents a broad range of trading strategies that generally see positions open and close within one trading session. This can be a few hours for some day trading strategies or a few seconds for others, but the general idea is that day trading strategies are a direct contrast to most traditional investment strategies that approach the market from a perspective of months or even years. This focus on short term profits means that day trading strategies differ from traditional investment strategies in terms of everything from basic ethos to the analytical tools employed. While day traders and traditional investors are ultimately looking at the same information, they have widely divergent perspectives on what they see and equally different views on the best way to profit from it. Once you have gathered some background knowledge and decided on the general approach to day trading that seems most appropriate for you, you will need to take the first few steps in your day trading career. Here are the most important points to remember according to the many successful day traders who have already walked this path from beginner to master. The market is full of thousands of opportunities each day, but you only need to catch a few of them. Do not spend your time jumping between different assets and strategies. Pick a small area of the market that you understand and stick to it until it is mastered. Before you start trading with actual money, use a trading simulator to get a feel for the real-time experience. As good as your trading strategy may be, a large part of successful day trading is learning to master your own emotions and develop a rigid discipline, which can only be accomplished with practice. When you are ready to begin trading with real money, start small and build slowly alongside your success and confidence. The biggest mistake that novice day traders make is getting too excited and making poorly-considered trades. Just because your strategy is working doesn’t mean that you can suddenly predict every market move. Nor does a run of bad luck mean that you need to get angry and start making increasingly dangerous trades to win your money back. Always approach every single trade with a calm and rational mind. When you feel this sense of cool begin to slip, step away from the computer until you’re ready to trade rationally again. There are as many different day trading strategies as there are day traders, but most of them tend to fall into a few major categories. Our favorites are momentum and swing trading. Momentum or trend strategies attempt to identify upward or downward price trends in their early stages, and take a quick profit from these steady price changes. These strategies have become increasingly popular under the growing influence of algorithmic trading and quantitative easing on the markets, both of which tend to encourage less volatility in the extreme short term that day traders favor. Swing trading is based on the belief that price action follows certain familiar patterns that are recognizable to experienced day traders. As a price moves from point A to point B, it will present various opportunities to make reliable forecasts, which day traders can exploit for profit. Swing traders rely on technical analysis to identify the pattern that the price action is following, and then forecast upcoming price changes. 1) How to pick the right stocks (out of the thousands of stocks you could trade, there are only 5-10 that are worth trading each day). 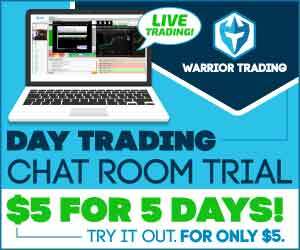 We cover this extensively in our Day Trading Courses, but we also offer daily watch list building from 9am-9:30 each morning. 2) How to Manage Risk. Do you know what profit loss ratio and what % of success you need to be profitable? If you read my 8 Steps to Making $200/day you will see how I establish profit loss ratios and accuracy requirements. 3) How to Identify charts with home run potential. Finding the gaps & the triggers. This all comes back to the Daily Chart, the News Catalyst, and the Float of the stock. 4) Trading Bull Flags. How to find intraday chart patterns like Bull Flags & Flat Top Breakouts in REALTIME. Check out my videos here on How to Day Trade Bull Flags. 5) How to use Level 2. Using Level 2 you can gain an advantage over other traders. We spend hours covering this in the day trading course. Just by watching the Level 2 and reading the tape you can begin to anticipate which direction a stock will go. I wanted to see how much I could grow a $1k account in 1 month. In 4 weeks of trading, I made over $7653.16 in profits, ending with an $8653.16 account balance (Oh, and I verified all the trades in my Suretrader Account, see the video below). This was a return of over 750% in just 1 month! This was a big accomplishment for me, and proved that I still know how to day trade a tiny account. This challenge also serves as an example all of our beginner traders can aspire to. Learning how to day trade is hard, but a 750% gain in 1 month is the potential rewards of hard work. Every trade I took was called out in our Day Trading Chat Room in real-time, allowing students to follow along during my challenge. I only traded 3 strategies during the challenge, as discussed in the video, and as outlined here on my Day Trading Strategies info page. Extended over 1 year of trading, this would be over $90,000 in profits from a starting balance of just $1,000. You don’t need a big account to make a living as a trader. It all comes down to education and discipline. Over 90% of traders who try will fail. It is not because they aren’t trying hard. It is because they lack the proper training to profit from the market. You can’t jump into the market blind and expect to come out on top. We provide Online Day Trading Courses for our students. Our goal is to teach you the day trading strategies that I use everyday to profit from the market. This includes the Gap and Go Strategy, the Momentum Trading Strategy, and the Reversal Trading Strategy. In the last round of day trade courses, we asked our students to complete a simple survey. We found that less than 25% were profitable BEFORE taking the course, and over 80% were profitable AFTER taking the course. Check out our survey here. 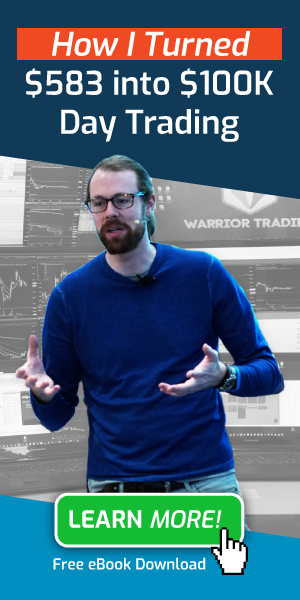 If you think you have what it takes to be among the 10% who will profit from the market this year, we’re ready to start teaching you everything you’ll need to know.